In lovely condition and with attractive buff silver front. 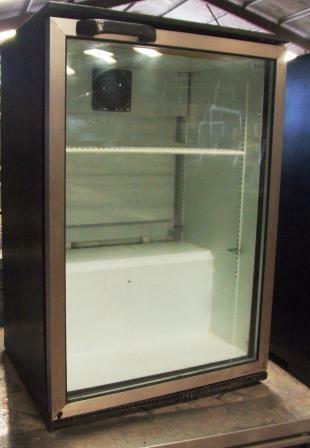 With two height adjustable shelves, efficient blown chilled air and internal lighting. 13 amp power supply required.